One of my all time favorite hikes/photography locations in Taiwan is The Four Beast Mountains (四獸山) area. 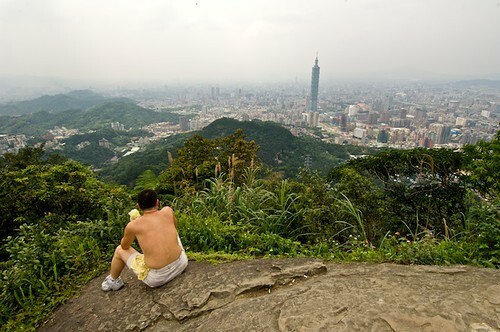 Located within Taipei City limits, these trails are an easy escape from busy city life and have amazing panoramic views of Taipei City and Taipei 101. The trail system includes Tiger (虎山), Elephant (象山), Leopard (豹山) and Lion (獅山) Mountains and is very easily reached from the Taipei MRT system. 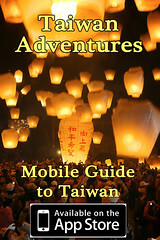 In fact, the base of Taipei 101 is only a 15 minute walk from the Elephant Mountain trail head. If that’s not enough, many of the trails are lighted, 24 hours a day! The view of Taipei from 9-5 Peak is unrivaled. Taiwan really has some great photography possibilities just sitting around, waiting to be shot. I recently bought a new, smaller DSLR and have been happily carrying it around with me a lot more often then my old, heavy one. Because of that, I have quite a few new blog ideas lined up in my head, but I’m currently working on a couple of actual paying projects and just don’t have the time to write them. So I’ll submit a few random pictures that I’ve shot since buying that new camera. Some of these will be in blogs in the future, and some are truly just random, walk around pictures. I’ll let you guess which are which. 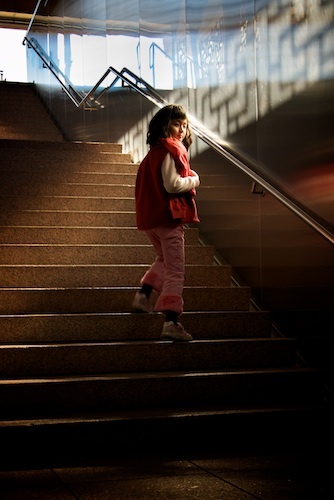 A girl walks up steps at the subway exit for Lungshan Temple, Taipei, Taiwan.